Clonex Clone Solution is a clone-specific nutrient formulated using a special blend of minerals and other helpful ingredients. Used with Clonex gel and other rooting agents, Clonex Clone Solution assists in the cloning process while helping to minimize stress. Clonex Rooting Gel Compound has been the foremost product in its field since its launch in 1989. It is known and respected the world over and has been used to empower at least 750,000,000 clones during that period of time. Clonex Rooting Gel Compound has succeeded because the formulation was fine tuned over hundreds of experiments to give the explosive root development that serious growers now depend upon. Now another ten years of experience has underwritten our new product. 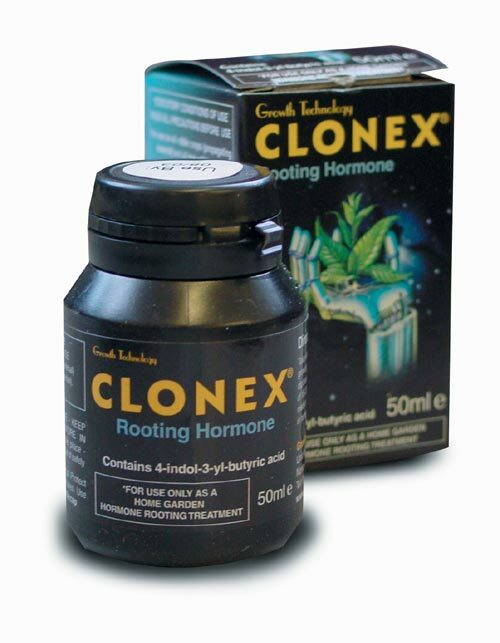 Clonex Clone Solution is the product of extensive new research and is designed to work in conjunction with Clonex Rooting Gel Compound and other rooting agents for outstanding results. 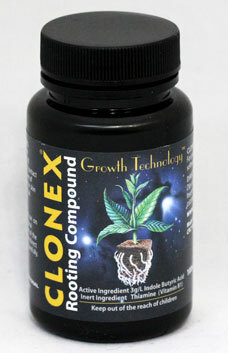 Clonex Clone Solution can be applied to the rooting medium and sprayed over the young clones. Available in 32 ounce (12 per case) and one gallon (4 per case) opaque bottles.